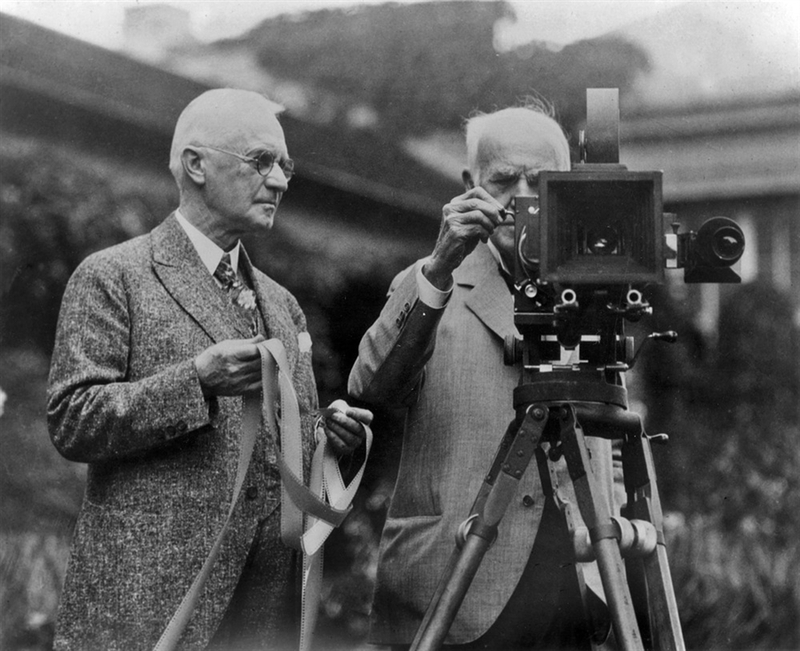 George Eastman of Kodak and Thomas Edison. Kodak filed for bankruptcy last week leaving photographers and loyal Kodak customers reminiscent of the photographic process. The NY Times article “Eastman Kodak Files for Bankruptcy” describes Kodak’s efforts to stay in business. In this over-saturated digital era, we sometimes forget the origin and progression of photography. Shooting photos, with iphones in dinging, poorly lit bars has become common place. Photography was not so immediate in the past as it is today, but more of an art and a process. What happened to the art of film photography? Photographic processing in a darkroom could be a tricky and messy. Now you can take a photo on a digital camera that fits in your pocket, complete with face recognition, red-eye reduction and auto focus. Though we can view our photos immediately on a convenient 2.5″ LED camera screen, we’ve lost some of photography’s romantic nature. David Gonzalez, a photojournalist for the NY Times Lens Blog posted an article on his passion for photography and more specifically Kodak: “Life —and Kodak—Remembered.” David States: “There was a Zen-like comfort to these processing and printing sessions, which calmed me. I would go in after dinner and not emerge sometimes until sunrise — often with a few rolls of bulk-loaded Tri-X jangling in my makeshift camera bag, ready for new adventures.” Processing and printing a photo was meditative for some, like David while bothersome for others. Jonathan Woods from MSNBC showcased Kodak on the photoblog. In the article, Mick Cochran describes the common hassle for some to develop film. “Anytime you could find someone to process your film, you would do it. Nobody wanted to be in the darkroom with all those chemicals. It was a right of passage, it was messy.” Lucky for many, we don’t have to soil our shirts in the photographic process. Digital photography provides a multitude of options for the photographer combined with the comfort of editing at home. In conclusion, appreciate the photographic process from the past and enjoy the convenience and style of digital photography.